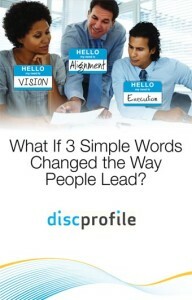 A new DiSC profile is now available for leadership development and leadership coaching: Everything DiSC Work of Leaders. Instead of looking at the one-to-one relationships of management (as Everything DiSC Management does), it approaches leadership as a one-to-many relationship. It focuses on understanding how leaders’ tendencies influence their effectiveness in specific leadership situations. This tool is relevant for leaders at all levels, and for staff you want to move into leadership positions. It’s a great tool for succession planning if you have your current leader(s) and targeted leader(s) both take the assessment. 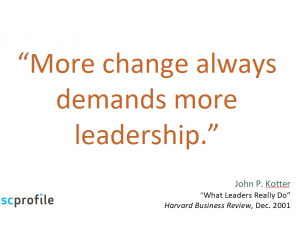 You’ll be able to anticipate a few future challenges that are based solely on styles of leadership. All those taking the assessment will get a report of where they fall on the DiSC Leadership Map, which is similar to the more familiar circular model of Everything DiSC. 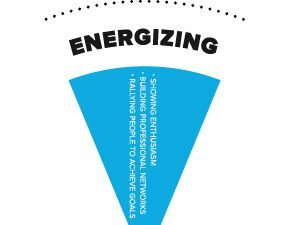 For example, someone with the primary style of D and the secondary i style, will see that their priorities are Pioneering, Commanding, and Energizing. This person will get a few pages reporting on their DiSC style with a strong focus on leadership. In addition to this typical DiSC report, the respondent will also get several pages devoted to context-specific situations and behaviors. Work of Leaders provides a simple, three-step process to help respondents reflect on how they approach the most fundamental work of leaders: creating a vision, building alignment around that vision and championing execution of the vision. 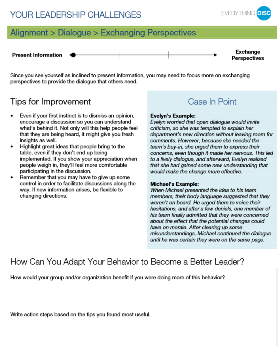 The remaining pages of the 23-page report focus on the respondents’ specific leadership strengths and how to build on them, and on their leadership challenges and tips for improvement. This program is based on a four-year development effort that began by analyzing and distilling the work of leadership researchers from the last three decades. With the help of 300 subject matter experts from more than 150 organizations, a specific set of leadership best practices were identified. 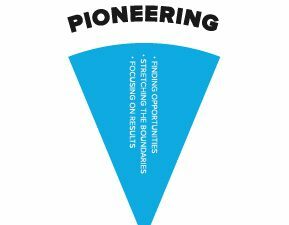 If you want materials, including video, for a leadership training, use the Everything DiSC Work of Leaders Facilitation Kit. We’d love to hear from people using this powerful new assessment.